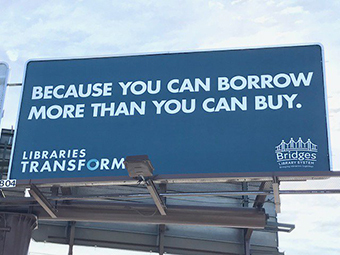 The Bridges Library System, which serves 24 public libraries across Wisconsin’s Waukesha and Jefferson counties, covers a wide and diverse community—but this February, their month-long Libraries Transform campaign will bring together local residents in celebration of libraries. 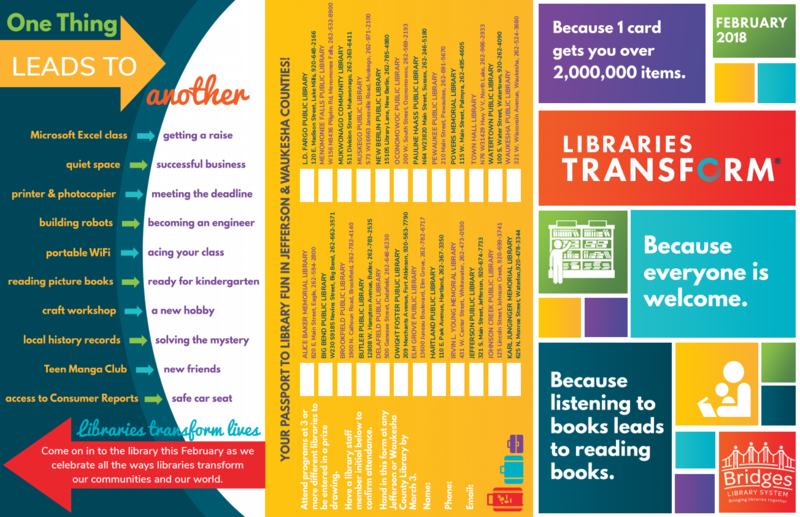 Timed to coincide with National Library Lovers Month, the festivities will use the ALA’s Libraries Transform campaign as a starting point to raise awareness of the crucial role of the library in the community. The Bridges Library System staff has worked closely with their two dozen member libraries to unite staff in their common goal of community engagement.